This is just the opening act with the announcement and reveal of our latest pinball machine, Iron Maiden. Check out the official release at IGN and Rolling Stone for further details on the Pro model. Stay tuned for more information on the official launch parties (please note, you must be an official Stern Army location to host an official Iron Maiden launch party) and our next scheduled stream with Dead Flip’s Jack Danger. Dead Flip’s Jack Danger left such a great impression down at the Nerdist House during SXSW week we received a special shout out from them – https://nerdist.com/come-hang-with-nerdist-and-geek-sundry-at-wondercon-2018/. This event helped expose so many new people to pinball and we can’t wait for future collaborations with the Nerdist team in the near future. Thank you to those who attended or watched the live stream of our Stern of the Union address at the Texas Pinball Festival. In case you missed the show, we showcased sneak peeks of our latest Guardians of the Galaxy and Batman ’66 code releases, but also had quite a few announcements. We showed everyone an exclusive premiere of the Making of Guardians video which you can view here – https://youtu.be/XkUwqSIvEYk. 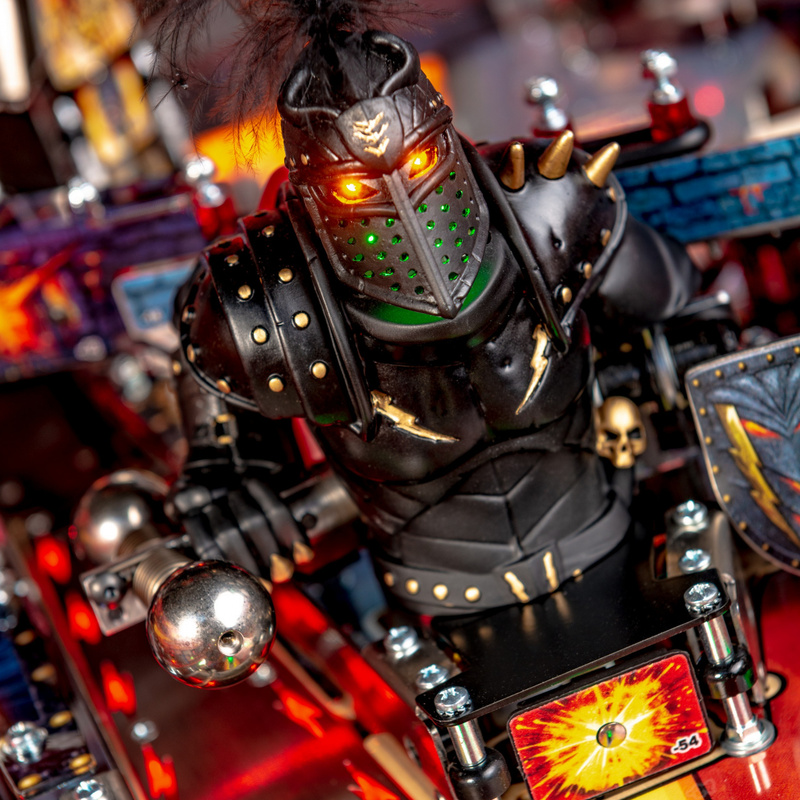 We also announced the hiring of Brian Eddy in the role of Senior Game Designer, the accomplished game designer of the iconic pinball games “Attack From Mars”, “Medieval Madness” and “The Shadow”! In addition to the hiring of Brian Eddy, Stern is also excited to announce several other new members to the team. Josh Clay and Danai Kittivathana join the team as the newest members of our Motion Graphics team. Josh has been a commercial artist for the last 15 years and has created artwork for bands like Linkin Park, Gym Class Heroes, Nine Inch Nails, KoRn, All Time Low and Fall Out Boy. Josh is also a tattoo artist who has won several awards for his designs and application. Danai is an artist that has worked in the Interactive Entertainment Industry for the past 12 years. Danai has worked on such titles as Captain America: Super Soldier (Wii), The Conduit (Wii), Marvel’s Avengers Initiative (iOS), Ironman 2 (Wii), Ghost Recon: America’s Army (360), Dora and Diego. Welcome to Stern, Brian, Josh, and Danai! Star Wars – We have yet another code update coming this month. Guardians of the Galaxy – We just released a substantial update which redesigned all major modes as well as introduced Cherry Bomb multiball into the game (adding on to the sneak peek code from the Texas Pinball Festival show). Look for another code update later this month which will address topper support as well as additional refinement. Batman ’66 – We will be releasing in the next couple of weeks the sneak peek code from the Texas Pinball Festival show in addition to even more content! With the added resources to our software department, we continue to address updates, enhancements, bug fixes and various polish to our catalog of previous titles including Ghostbusters, Aerosmith and KISS. We expect for these code updates to start releasing by mid-Summer. Introducing this new feature into the Stern of the Union, the Stern Spotlight section will highlight one Stern employee each month. This month’s Stern Spotlight is none other than Shelley Sax!